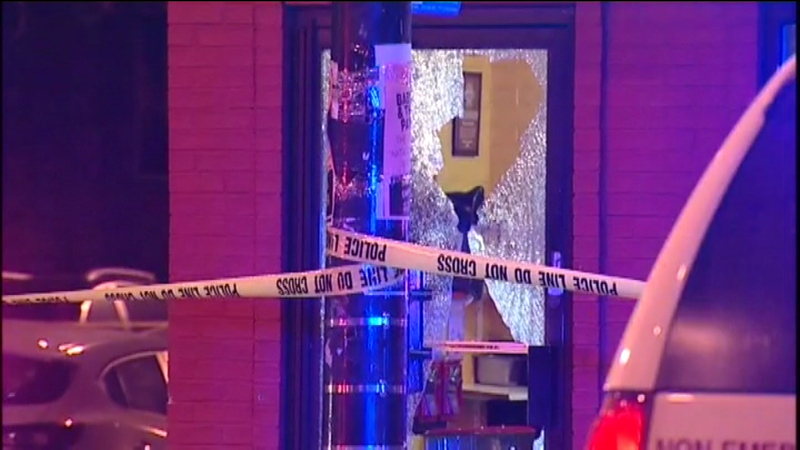 CHICAGO (WLS) -- A man was killed after a shooting outside a popular hot dog shop in the Ukrainian Village neighborhood Monday morning, police said. The 36-year-old victim was standing in the 2200-block of West Chicago at about 1:10 a.m. when someone inside a black SUV fired shots. The door of Fatso's Last Stand, which was closed at the time of the shooting, was shattered by gunfire. The man was wounded in the abdomen, face and leg and was transported to Stroger Hospital, where he later died. No one else was injured in the shooting. Police are investigating. Authorities have not released the identity of the man killed in the shooting.